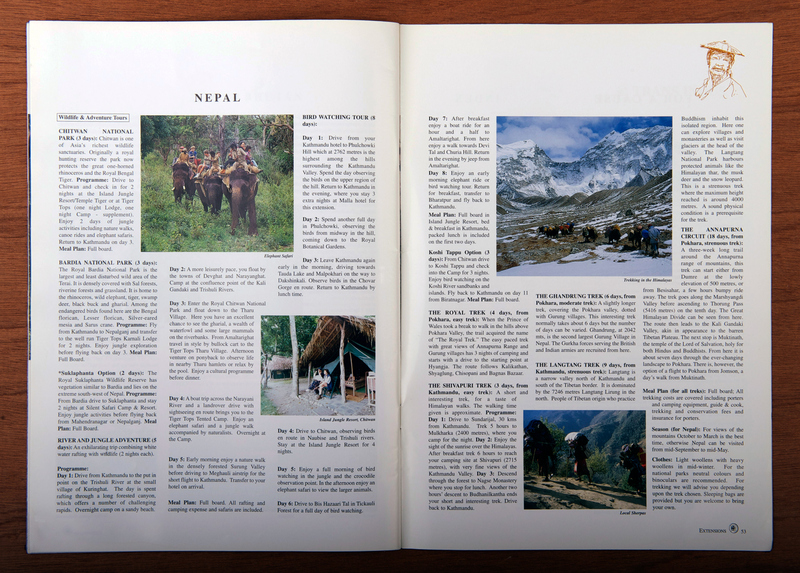 Trans Indus asked Jomo to help them create and produce their main travel brochure for India, Nepal and Bhutan. Considerable time was spent with the client developing page layouts and agreeing relevant photos. 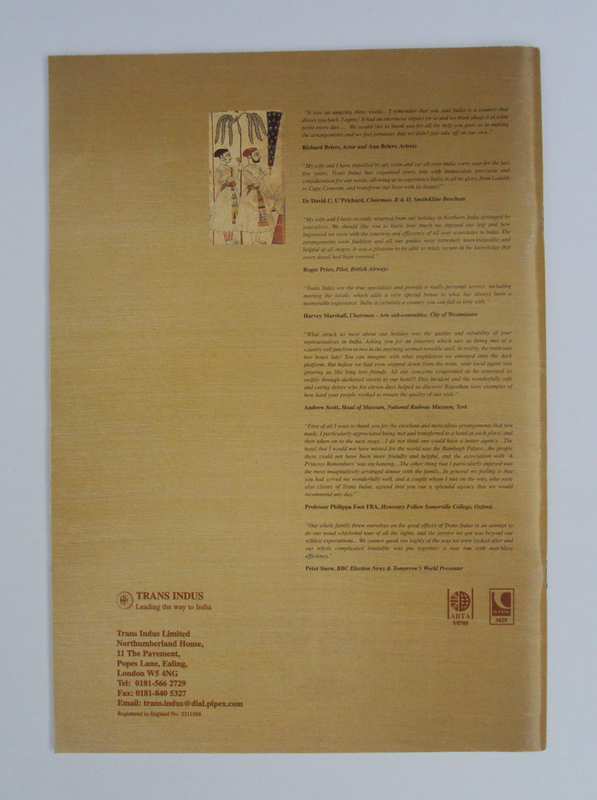 A number of fonts were used for this brochure so there was a strong emphasis on typography. 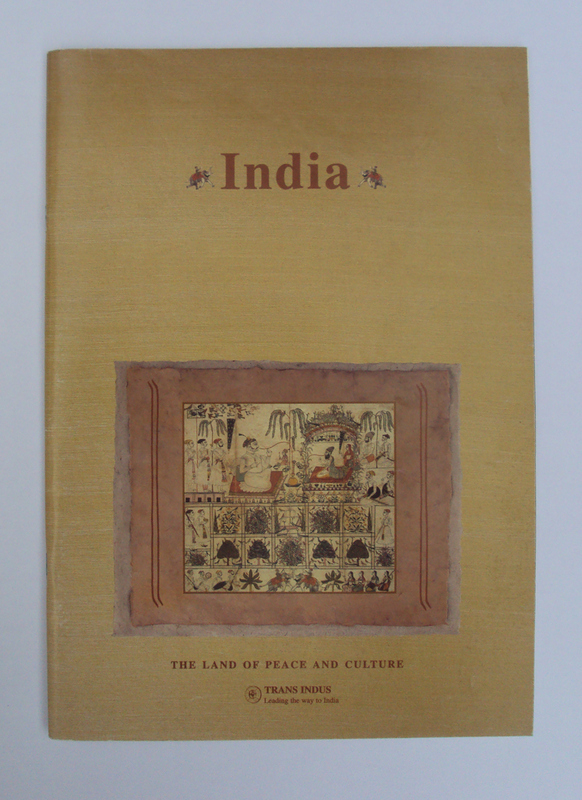 Jomo created the map of India for the inside back cover from scratch. There were hundreds of slides, colour prints and drawings to scan and drop into the artwork. There was also the need to retouch many of the photos in Adobe Photoshop. Due to the amount of text throughout the brochure there were also many corrections to be made and signed off by the client. After two months the travel brochure was finished and all ready to go to the printers. 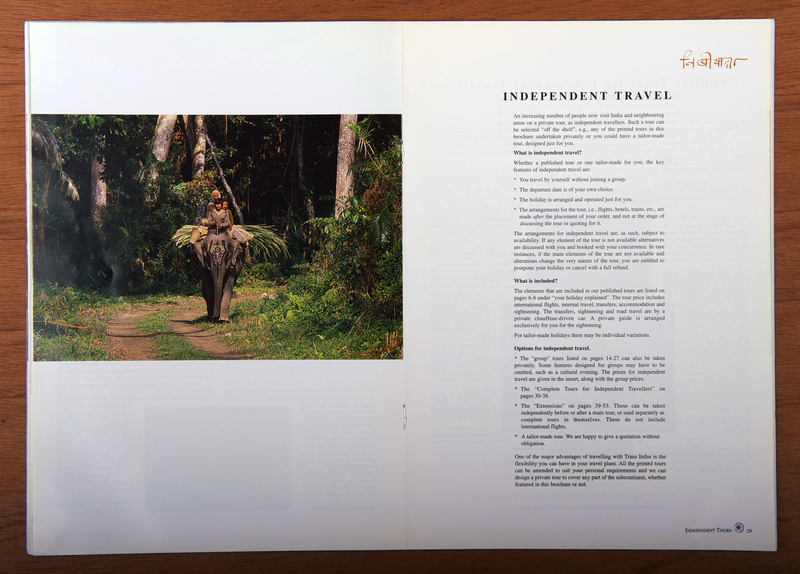 Jomo tendered and managed the proofing and printing of both the travel brochure and price insert. 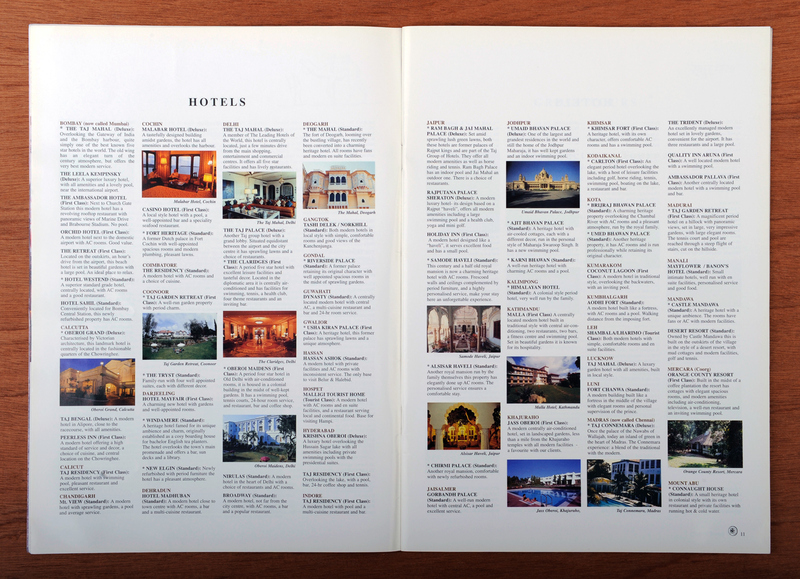 The 56 page brochure was printed 200gsm silk cover and 170gsm silk text pages four colour process throughout. 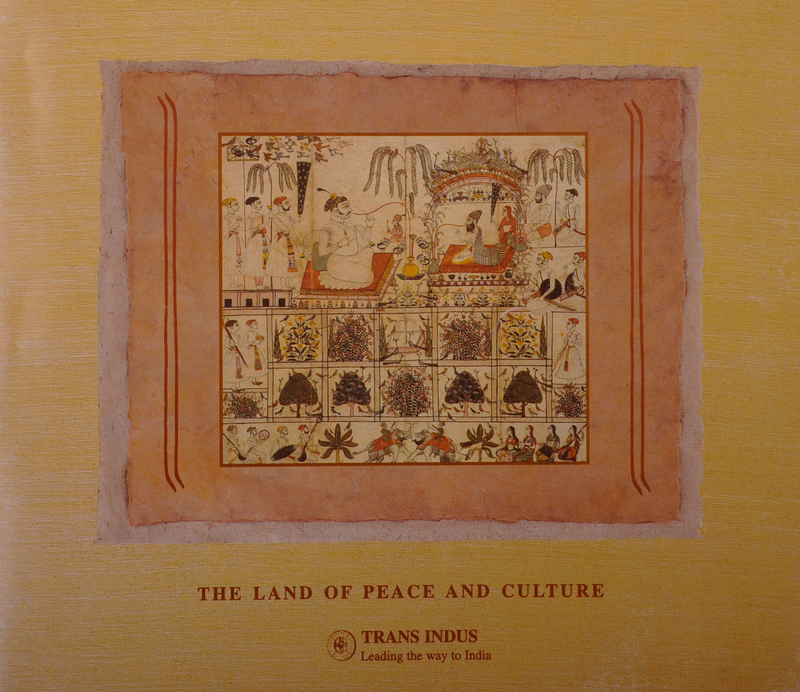 The print run was 24,000 with 12,000 price inserts both designed and printed for Trans Indus. 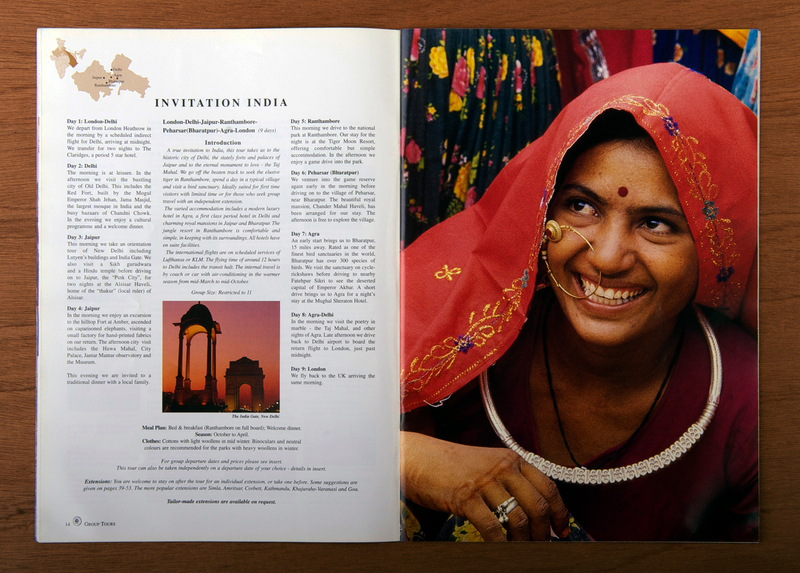 The 12 page Price insert was inserted into the middle of the Brochure with a perforated page. The press pass was at 10.30pm with the clients who were both very involved in the project throughout. 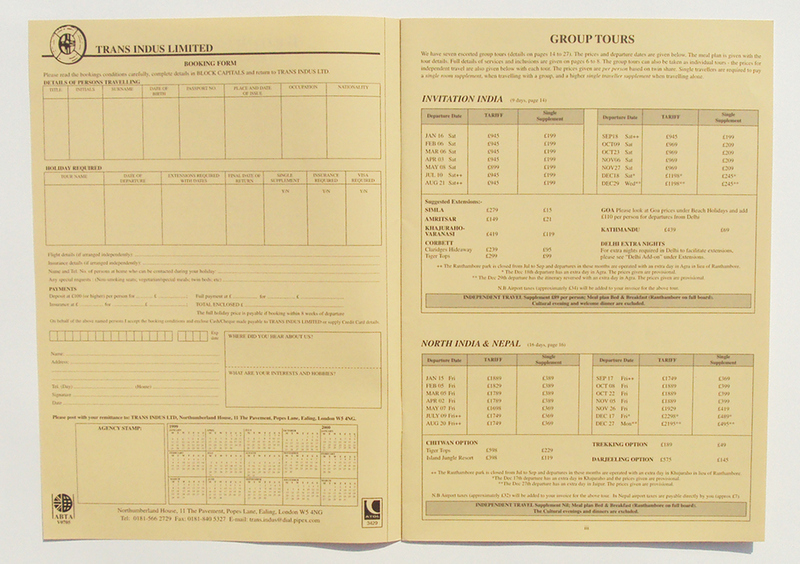 The finished brochures and price inserts were then delivered five days later. 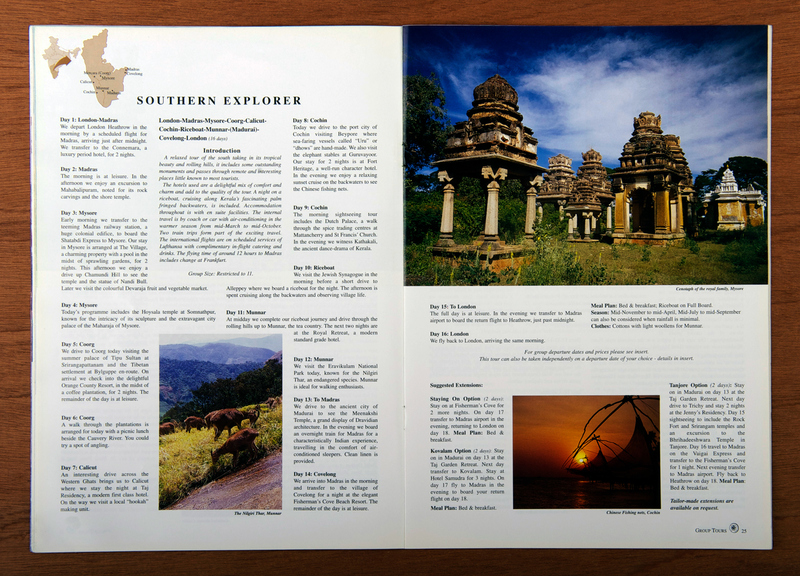 "Jomo have designed and produced two travel brochures and price inserts for Trans Indus. Johnny is a conscientious and skilled designer. He is detail orientated and has a firm grasp of the technical process".